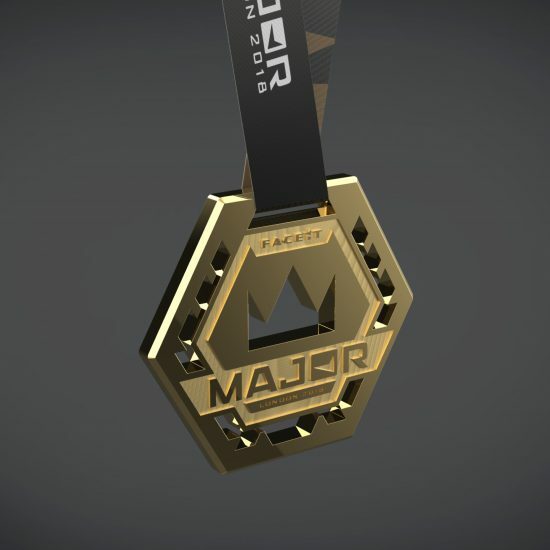 The CS:GO medal design features the distinctive hexagonal form of the FACEIT logo with the crown and laurel elements cut clean through the 8mm thick plate by a powerful laser… this makes for a very dynamic looking medal. In all, Touch of Ginger produced 6 medals for the event, packaged in a bespoke display box. The term eSports refers to organised competitive gaming professional players. Although there are many games that can be included in the space, the most popular games are generally team-based multi-player games from the First-Person Shooter or Multiplayer Online Battle Arena genres. The audience can watch the event by either visiting the arena live or online through gaming broadcasters. The London 2018 FACEIT CS:GO Major was the thirteenth Counter-Strike: Global Offensive Major Championship, and the first hosted by FACEIT – the organisers of the Esports Championship Series. It featured twenty-four professional teams from around the world. 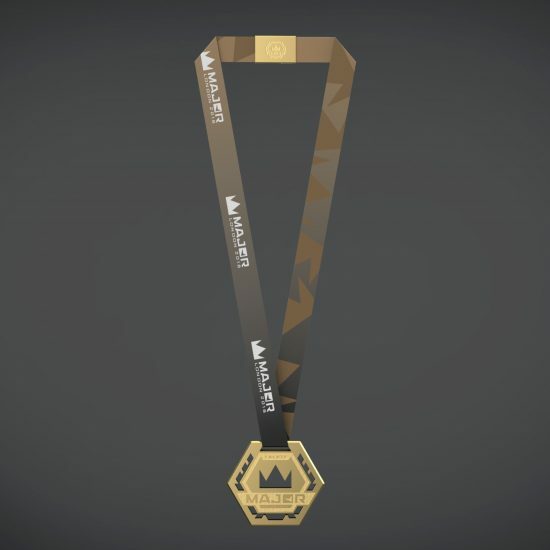 Touch of Ginger was invited by FACEIT to create a suitable CS:GO medal for this highly prestigious eSports event. From the start we wanted to design a medal that was big, bold, and different. If you want to produce a gold medal, there is nothing quite like the real thing. This one is machined from a solid billet using a combination of laser profiling and CNC milling to create a striking form. Of course it’s not solid gold, but in 24ct gold plate it looks a million dollars!